NEW YORK, September 12, 2011 – – When it comes to managing their messy headphones, Americans want a better way to live tangle-free. 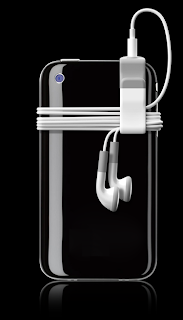 In fact, a recent survey* of more than 2,000 adults shows that 88 percent wish there was a way to keep their headphone cords from tangling. The survey, commissioned by Dune Road Design LLC, maker of the Sinch, also revealed that more than two-thirds of wired headphone users are frustrated by tangled cords and more than half spend at least a minute per day untangling their cords. Fortunately, the Sinch—a new, high-design answer to the problem of keeping smart device cords tangle-free—is now available for purchase in black or white for $15.99 through Facebook and www.thesinch.com. Additional colors and new, complementary products will be available shortly. The secrets of the Sinch lie in its design; an elastic band encapsulates magnets that attach to the audio plug on any smart device headset. Users can then do what they naturally do – wrap their headphones around their device then secure the cords with the Sinch. Unlike other products, this is the only headphone organizer that keeps cords connected to the device for convenient access, but still allows users to remove and store their bundled cords. The sleek and simple design, created by leading innovation firm frog, makes it lightweight, low-profile and transferable to multiple devices. The marketing campaign promoting the launch of the Sinch continues to generate buzz online. Consumers can see the “Invasion of The Sinch” unfold by following the fictitious investigative reporter, Rick Sims of The Sims Report, who keeps the public informed on strange happenings through a video series, Twitter account, and detailed blog. Taking a cue from classic horror and science-fiction films, the Invasion campaign plays up the dangers caused by cord tanglement and introduces consumers to the Sinch in a surprising way. To learn more about the Sinch and experience the Invasion, please visit its social channels: Facebook,YouTube, and Twitter. The Sinch is a new brand dedicated to good design and smart engineering. The product line from Dune Road Design LLC aims to protect and organize personal electronic devices. The first product is a smart device assistant that keeps headphones safe, snug and tangle-free. For more information, visit www.thesinch.com. frog (formerly frog design) works with the world’s leading companies, helping them to design, engineer, and bring to market meaningful products and services. With an interdisciplinary team of more than 1,600 designers, strategists, and software engineers, frog delivers connected experiences that span multiple technologies, platforms, and media. frog works across a broad spectrum of industries, including consumer electronics, telecommunications, healthcare, energy, automotive, media, entertainment, education, finance, retail, and fashion. Clients include Disney, GE, HP, Intel, Microsoft, MTV, Qualcomm, Siemens, and many other Fortune 500 brands. Founded in 1969, frog is headquartered in San Francisco, with locations in Amsterdam, Austin, Boston, Chennai, Bangalore, Gurgaon, Johannesburg, Kiev, Milan, Munich, New York, Seattle, Shanghai, and Vinnitsa. frog is a company of the Aricent Group, a global innovation and technology services firm.